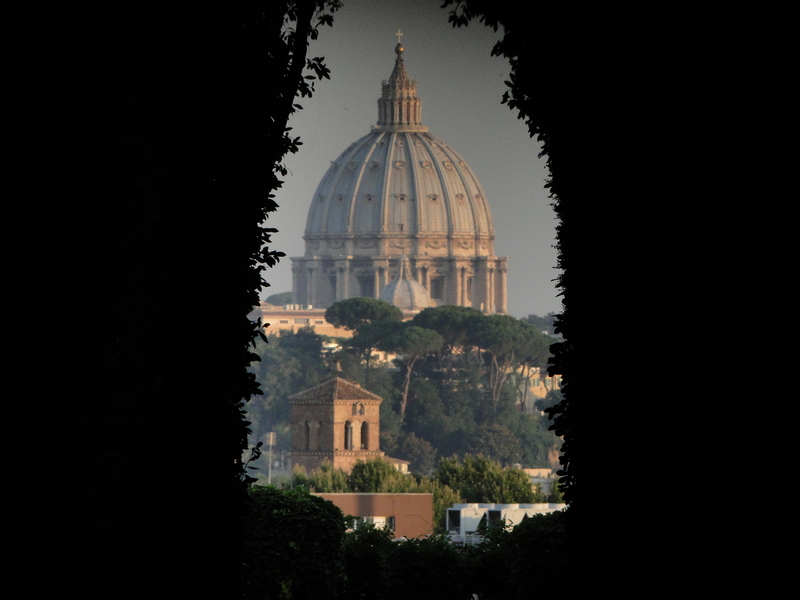 One of the most famous view of St Peter’s can be seen through a tiny keyhole at the Priory of the Knights of Malta on the Aventine hill. Looking through the door leading to the Priory’s secret gardens on Piazza dei Cavalieri di Malta, the viewer is stunned to suddenly see St Peter’s appear in the distance. It was the 18th century artist, Giovanni Battista Piranesi, famous for his etching views of ancient Rome, who created this amazing design when he was commissioned in 1765 to renovate the Roman seat of the Knights of Malta. It was Piranesi’s only architectural work in the eternal city, but one that made his name forever linked with the Priory. He is actually buried in Santa Maria del Priorato, the Priory’s church he redesigned. 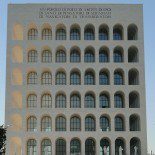 This entry was posted on July 29, 2011 by Salambo in Arts and culture, churches, Roman artists and tagged Knights of Malta, piranesi, priory, Rome, secret keyhole, St Peter's view.